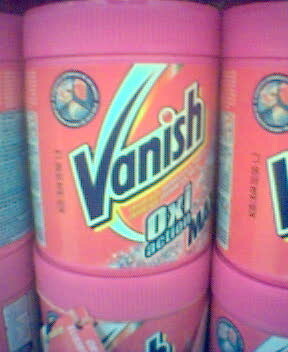 oxy = vanish oxy powder (tradename of a cleaning product). In the UK, it comes in bright pink containers and is sold in supermarkets, etc. anything with (Oxy Action will contain a source of TAED) all though the process doesn't need this, it will speed up reaction and result times emensley. peroxide, or its full name Hydrogen peroxide, can come from many places, like hair saloons /barbers or just about any Hair dying product. the above is its most common 6% form from the chemist, however you can get (*and will need*) stronger concentration, around 25% or higher. This is another accelerant to the process, by blasting the component with UV rays we destablize the weak electron bonds of the oxygen atom that is attachted to the bromine atom from the flame retardant chemical in the plastic. by inducing a pull on that oxygen atom, (surrounding it with hungry Hydrogen atoms) as well as bathing it in UV light this will essentially de-oxidize the plastic to its original colour, or there about's. I will say this process is ONLY TEMPORY and the component will need to be treated to stop future oxidation. .... and 1/8 teaspoonful per gallon of Oxy. Ha! That is where I went a bit wrong. About a dessert spoon to 1 litre I did! No wonder it foamed up quite a bit! We were expecting more of a reaction... so we kept adding more! lol! Thankfully some kind Amiga users have sold/sent me a replacement (or three! ooops!) They will come in handy as my A600 didn't come with one, also I now have a spare. Amigakit threw an old second hand one with my last order as well which was very kind as I was mouse-less until then. Cheers Amigakit! @AlfaRomeo: the product is called "água oxigenada" and the oxy thing have a common brand of "Vanish 'poder O2' " on any supermarket. The peroxide is more easily found on "women cosmetic stores" sort of. It's the very same intended for "blonding" the hair. Best Hydrogen peroxide I can find on the net in Australia seems to be 19% It comes in one litre or five litre bottles and is sold from pool/spa shops. So you guys are submerging the parts in the stuff you must need a lot more than 473mil depending on the part or are you diluting it with water? We also have Vanish Oxy Action here it is sold under the NapiSan brand name, not sure if it contains TAED though. If it says "Oxy Action" it's the right stuff. but what about those sticker/badge/whatever with "Commodore" and "Axxx" names: do i need to secure it somehow? tape, glue? does this process will wash my beloved "A600HD" name? If you get lots of Hydrogen Peroxide be careful if you live in the UK. Some chemists will report you. Stickers aren't affected. Don't worry. Sorry dude, Lorne over at Vintage Computer Forums disagrees with your heat theory; he lives in Arizona and heat isn't a problem there. Heat alone doesn't cut it; UV is definitely required. Lorne is working to optimise the process and he has proved to himself that UV is needed, the UV photons destabilise the co-ordinate bond between the oxygen and the Bromine in the flame retardant (the bond isn't strong enough to be a covalent bond, so it has to be shared electrons between the oxygen and the bromine). No UV, the parts only get wet. Using bleach to remove the yellowing is only replacing Bromine with Chlorine from the sodium hypochlorite in the bleach; Bromine and Chlorine are both Group VII elements (Halogens) and have one free electron space in the outer orbital. The Chlorine is higher in the Halogen series than Bromine and hence displaces Bromine as it is more reactive. Some yellowing will still occur, as Chlorine will share electrons with oxygen atoms in the same way Bromine will, via a co-ordinate bond. Please feel free to disprove my theories on this, as long as you can provide some kind of logical chemistry argument to back it up. Last edited by Merlin; 09 September 2008 at 13:28. I've managed to get whitened results with only 6% solution of H2O2, so it doesn't necessarily have to be the strong stuff. I agree; most beauty supplies won't sell stronger than 20%, as above that strength it can burn and damage skin and eyes. A lower strength gives more safety to people and better control of the de-yellowing process at the expense of a little bit more time, I don't feel it's a bad trade off overall.